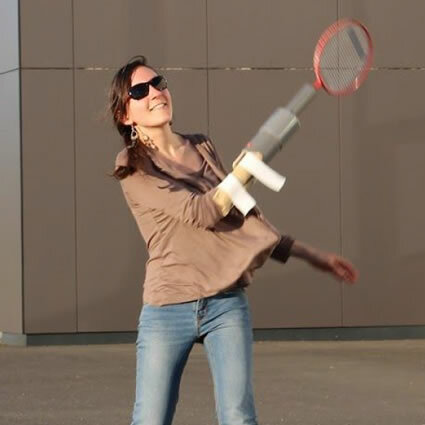 A universal adapter for those who are have had their arm amputated or who suffer from a physical disability affecting their arm: all body shapes and racquet sports are compatible! 2 students aged 12 and 14. Léo loves electromechanics, 3D modelling and machinery. Lélio created the project presentation website. 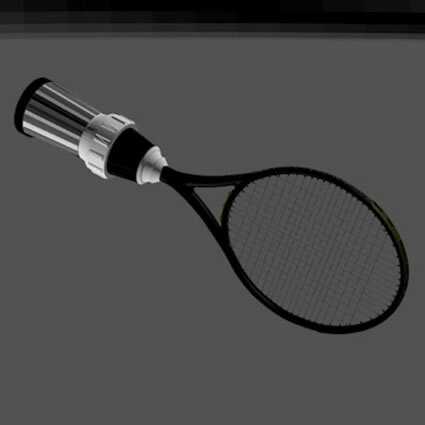 Creating an adapter to replace a hand for those with a disability affecting their arm, allowing them to hold a racquet. It is an important development as tools that are currently available are not accessible to the general public. Adapted to all racquets and all body shapes, the Adapt’raquette could encourage widespread use by both the disabled and non-disabled, both playing with this new device! Discussion, prototype modelling, 3D printing, real world testing, use of the Wikifab virtual tutorial platform, contact with occupational therapists and fabmanagement throughout the project. The first part of the Adapt’raquette is placed in a solid support surrounding a pressurised blood pressure monitor membrane. 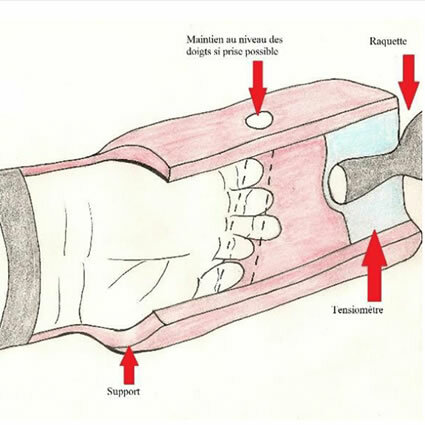 The second part is a fastening system made of a small adjustable splint with a Velcro band. Do not hesitate to discover the other competing projects. 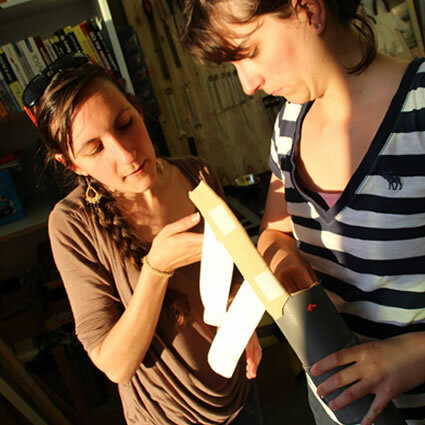 Solidarity FabLabs introduce young people to digital manufacturing and provide training. Today the #Imake4MyCity challenge is allowing them to propose projects that make it easier for everyone, everywhere to take part in sport and also to contribute to changing the way that society looks at disability.